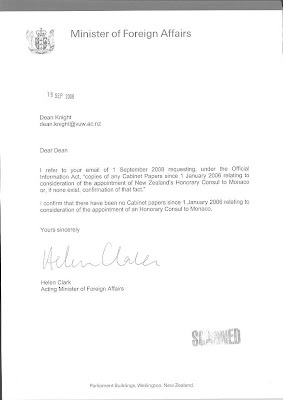 > OneNews: "Email trail relinks Peters to Glenn" > KiwiBlog: "The corruption of the Clark/Peters Government"
Which appointments should be considered by Cabinet? The collective interest of the government is best served if the whole of Cabinet participates in the making of appointments. In general, all but the most minor appointments made by Ministers, or by the Governor-General on the advice of a Minister, should first be considered by APH. Even where an appointment is the responsibility of a particular Minister, it is important that it is raised with colleagues to ensure the widest possible input into the appointment process. See also para 5.12(l) of the Cabinet Manual.